Korea is Korea is Korea, Right? Wrong. 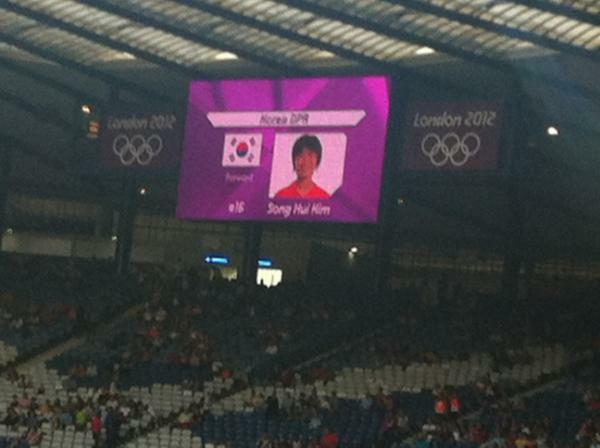 It’s day 1 of the 2012 London Olympics and that’s a North Korean soccer player getting introduced with a… wait for it… South Korean flag next to her photo. If memory serves, there may be a minor, unsettled squabble between these two countries, no? Honest mistake though, it’s not like North Korea overreacted about it or anything. Wait, what’s that? They refused to take the field? Olympic officials had to spend half an hour apologizing and trying to coerce them out of the locker room? Oh. This entry was posted in Olympics and tagged north korean flag, olympic soccer, soccer flag wrong, south korean flag, wrong korean flag. Bookmark the permalink.